You are here: Home > MCSD News & Alerts > MCSD News & Alerts > Colorado News > 5th & 6th Grade Co-ed Track & Field Sign Up! 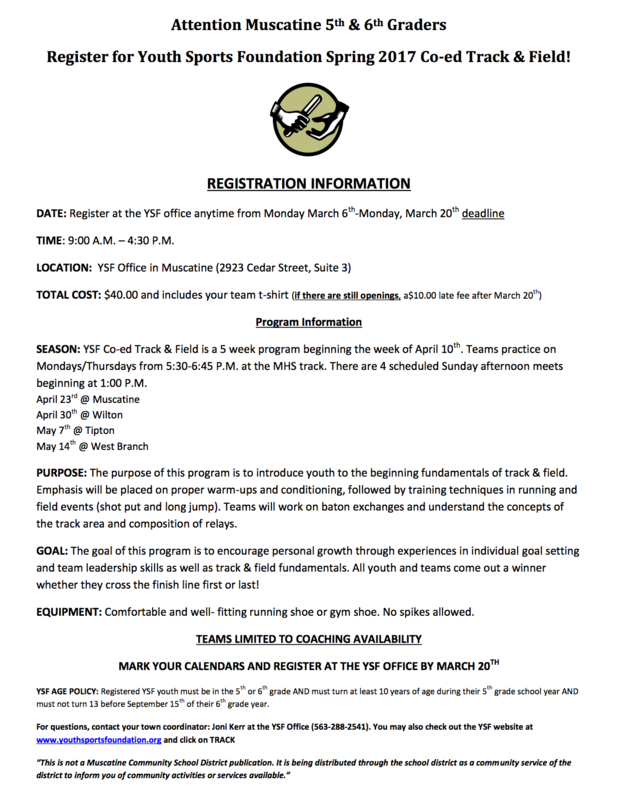 Youth Sports Foundation Track & Field is open to any Muscatine youth currently in the 5th or 6th grade. The program begins the week of April 10th with 2 weekly practices. There are 4 scheduled Sunday afternoon track meets involving surrounding communities. Learn the basics of track & field while having fun!